There is an opioid epidemic in the United States. 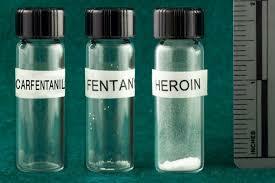 Whether it involves prescription narcotics or street drugs, people are overdosing and dying from drug abuse. Understanding how narcotic naïve people went from no use to death is important to understand, and it’s also important to know how some pharmaceutical manufacturers helped stoke the fires of narcotic addiction, but it’s also important to question our societal outrage when it comes to the consequences of narcotic abuse. A confluence of unfortunate circumstances came together many years ago to cause an excessive number of narcotic prescriptions to be issued by health care providers. There was a societal push to consider pain as the fifth vital sign (after blood pressure, heart rate, respiratory rate and temperature) and regardless of the reason for a medical visit, patients were asked about their pain. In the office for a routine blood pressure check…how would you rate your pain today? Teenager visit for a pre-participation physical…how would you rate your pain today? Cancer patient in for palliative care…how would you rate your pain? A subjective pain scale of 1 to 10 was used (and a smiley face, frowny face equivalent for little kids). Presumably, the expectation from either doctor, patient or both was that the goal was a pain rating of zero, regardless of how many drugs it took to get there. Federal mandates still demand that the pain question continue to be asked. About the same time, corporate medicine began using patient surveys to rate provider satisfaction. How well did the doctor, nurse practitioner or physical assistant met your needs as a patient? The satisfaction metric rested next to productivity as an influence on salary and other benefits. If a patient was unsatisfied that their pain was not completely gone, then the doctor’s income could be negatively impacted. It was another impetus to aggressively prescribe pain pills. And then there was Purdue Pharmaceuticals, maker of Oxycontin, a long acting narcotic pain pill. If only there was a wonder drug that could control pain and yet not become addictive, the world would be a better place. It seems that Purdue aggressively marketed their pain drug as just that, non- addictive, presumably backed by research that confirmed that contention. Providers started to write prescriptions and patient addiction grew quickly. It seemed that Purdue management had failed to act ethically when it came to their pursuit of profit. Increased funding will be needed to address the opioid epidemic. In 2016, 116 people died every day from drug overdose. According to researchers, the opioid abuse will cost the US economy about $200 billion in 2020. 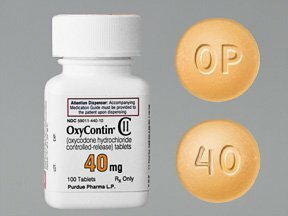 In an article published in the Journal of the American Medical Association Journal-Psychiatry, authors from the Harvard University and the University of Michigan called on Congress to increase research funds, monies to purchase naloxone, the opioid overdose reversal drug, clean syringe and safe drug injection programs, foster care programs for children of addicts and funding of rural health care addiction programs. We care a lot about drug overdose deaths, often because the victim is younger and there is an immediacy between taking the drug and the time of death. It seems that we don’t care as much and don’t have congressional hearings when there is a large time lag between ingestion, disease and death. According to statistics from the Centers for Disease Control and Prevention (CDC), there are twice as many alcohol related deaths each year (88,000) as there are from opioids. In 2010, the CDC estimated the cost of excessive alcohol consumption was $2.49 billion, 25% more than opioids. People rarely die immediately after a drink or two or many, but chronic alcoholics shorten their lives by about 30 years, and alcohol is responsible for 10% of all deaths in working adults. When it comes to tobacco, the death statistics are graver. 480,000 deaths each year are tobacco related. That works out to 1,300 deaths per day, more than ten times as many due to opioid overdose. That includes the 41,000 who die each year of second hand smoke. In all smoking causes 20% of all deaths in the United States and costs the economy more than $300 billion yearly. Alcohol and tobacco are institutionalized and historically grandfathered as acceptable drug ingestions. Aside from drunk drivers, the death and destruction rarely happens contemporaneously. Society sees those diseases and deaths as reasonable collateral for acceptable social behavior, not to mention a great source of tax revenue to fix roads and pay for schools. Opioid abuse can be an immediate killer and those deaths make headlines. The deaths are indiscriminate and afflict people from all social and economic classes. The war on tobacco and alcohol failed. History will decide whether the current war on drugs will fare any better. Emergency doctors get it. The patient arrives in the ER complaining of pain and wants relief. What the patient does not appreciate is that by having a complaint of pain, he has unleashed a battle between the practice and the business of medicine. The practice of medicine would want the doctor to find the reason for the patient’s pain, fix the underlying cause and also help alleviate suffering. The business of medicine would want the customer’s wants and needs addressed and have superior satisfaction scores. But what should happen if the patient and the physician differ as to what should be done regarding the matter of pain control? It’s not like the patient has a choice of who they get to see in ER, and the doctor really doesn’t have a long-term relationship with the patient. If only patients were as easy as Kansas City Royals’ pitcher Brian Flynn. He fell through his barn roof, fracturing three vertebrae in his back ,along with a rib for good measure. Pain control decisions in trauma are easy. Broken bones hurt and they take time to heal and the odds are that he’ll miss spring training. At least in the short-term for trauma, pain medication is appropriate to be prescribed. But what happens when there is no trauma? Guidelines from the American College of Physicians published in February 2017 address treatment options for those with acute, subacute and chronic low back pain. They do not apply to trauma patients. They also do not apply to patients with sciatica, inflammation of the sciatic nerve, that causes pain to radiate down the leg. And they do not apply to patients whose spinal cord is potentially at risk and have bowel or bladder symptoms. But for everybody else, and there are a lot of people with low back pain, the message is clear: try heat or exercise or complementary medical care (think yoga, tai chi, massage or manipulation) because medication as a first line treatment is no longer recommended. First step and most important, the doctor talks to and examines the patient to make certain a disaster situation does not exist, things like spinal cord compression, aortic aneurysm, kidney stones. The practice of medicine and the role of the patient is gradually changing. Patients are becoming active participants in decision making regarding diagnosis and treatment. But as research and guidelines evolve, the delivery of pain free recuperation may no longer be a valid expectation for the patient or a goal for the doctor. The problem is that pain is very subjective and its tolerance varies from patient to patient. Both patient and doctor will have to learn how to balance suffering with acceptable pain and how to minimize the use of pills to fix things. 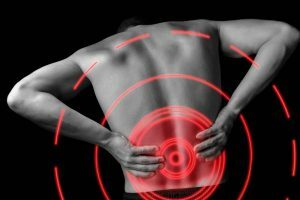 While the guidelines address back pain, they are likely the tip of the iceberg as more research tries to give direction to pain control in general. The three recommendation are listed below…and by the way, the guidelines appear to classify tramadol differently than a narcotic or opioid but according to the Federal Drug Administration (FDA), it is just that.